Notable atheists, from all walks of life. Click on the Forum button (below) to see a topic list. This topic contains 1 reply, has 2 voices, and was last updated by JadeBlackOlive 11 months, 2 weeks ago. I don’t have TV at home so I miss a lot of current cultural productions. 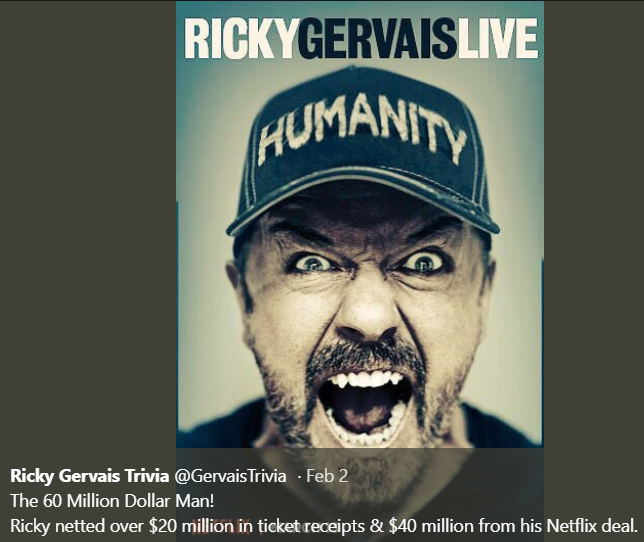 I accidentally ran into some Ricky Gervais news that’s good to hear, and encouraging. I quite like him, & that he’s not quiet about his views.